This paper illustrated a graphic teaching strategy combined with the knowledge visualization technology, it can intuitive express concise teaching goals, complex teaching process and ideas of implication in the teaching process. 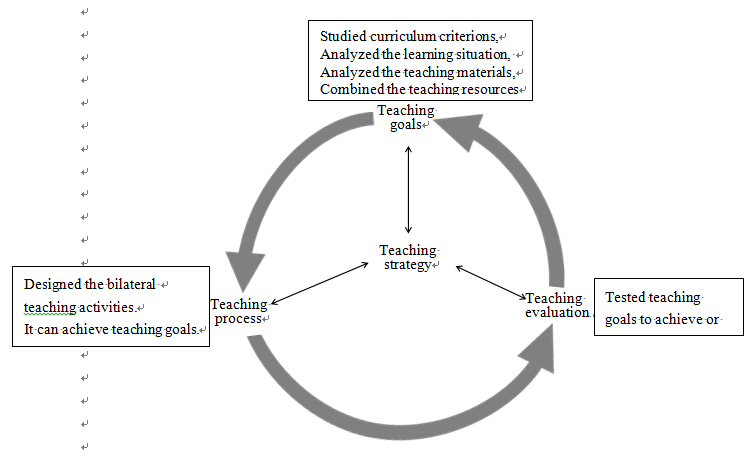 In a recent paper by author Cheng-yin Yang and Lin Su, their survey found that the chemistry teachers seldom write teaching strategy in their conventional instructional design, and there was a large deviation between instructional design and actual course teaching activities. In order to improve this phenomenon, they put forward graphic teaching strategy. Based on the form of the "Concept Map and Mind Map", once the teaching strategy design is visualized by the computer software or the hand drawing system, the teaching goals design intention can be converted into a more detailed teaching activities process design, in order to achieve the effective integration of teaching goals, teaching process, measurement and evaluation. From the Outline of the National Basic Education Curriculum Reform (Trial) with The Ministry of Education enacted. In this paper, they introduced the knowledge visualization tools--Concept Map and Mind Map, distinguished their similarities and differences, pointed out their application domains. They analyzed the specific teaching environment and resources, and recommended teachers use computer software to draw the teaching process for open class, observe classes, instructional design contest and other situations that the instructional design presented to students or experts judge by electronic version, as beautiful, structured teaching process to show design ideas. In the daily teaching for their own class can drawing teaching strategy flowchart by learning the characteristics of Concept Map and Mind Map. Besides, they offered the hand-painted methods and programs. The authors goes on to propose that the value of graphic teaching strategy design in chemistry teaching, such as graphic teaching strategy can optimize the instructional design, graphic teaching strategy can optimize the knowledge structure. Chemistry instructional design must reflect the subject characteristics, such as on the bases of experiment, in the means of scientific inquiry activities, for the purpose of student’s development, chemistry language as the tool, scientific methodology as the guide, scientific epistemology as the principle, closely related to life and social reality. Chemistry teacher must reflect these factors in the instructional design. Cheng-yin Yang, professor, mainly in a research of Teacher’ Education, School of Chemistry & Chemical Engineering, Shaanxi Normal University, Xi'an, China. Lin Su， master degree， Mainly in a research of Chemistry Curriculum and Teaching Methodology, School of Chemistry & Chemical Engineering, Shaanxi Normal University, Xi'an, China.